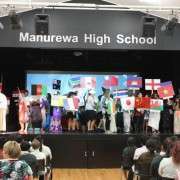 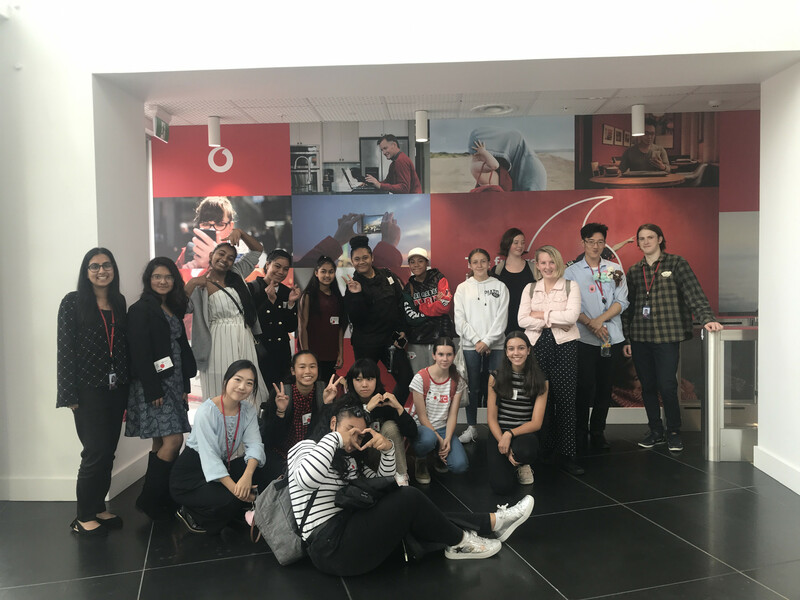 Manurewa High School celebrated its 13th annual International Week during April. 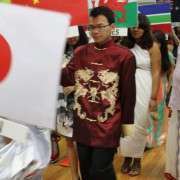 International Week is a celebration of the diversity of culture within the MHS population. 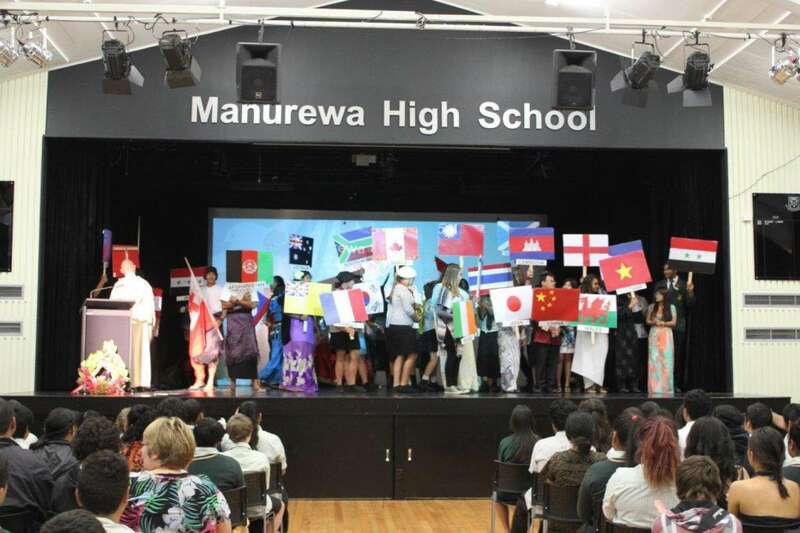 Representatives from some forty nations marched on stage bearing their country's flags, and the week continued with a variety of celebrations including a costume day and - everyone's favourite - an ethnic food day. 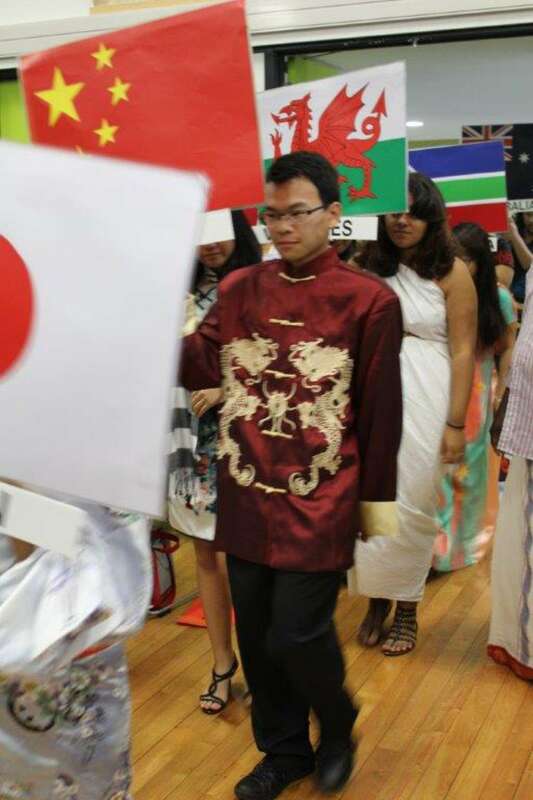 Photo below shows Longziyi Chen who has arrived this year from one of our partnership schools as a long stay student.